The Paulinum as Diocesan, Classical Grammar School and Seminary started its activities in the 1962/63 school year. At the beginning it had only two classes,but gradually got more. Its first residency was in the Catholic Circle, but 30th June 1965 the new building was inaugurated. 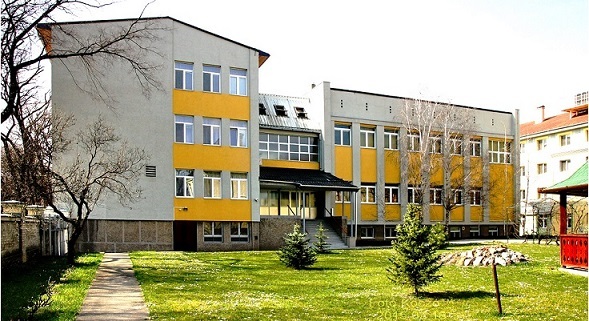 The Paulinum as gymnasium and seminary was the only interdiocese institution in Serbia. It is a classical linguistical gymnasium. First of all it concentrates on theological and philosophical studies and parallel it prepares the students in classical languages and history.The priests of today in the Bacska and Banat were all former students of the Paulinum. The Paulinum is proud to state that it gave 4 bishops to the Church. The school prepared numerous illustrious (outstanding) personalities for their profession: well-known teachers of religion, cantors, missionaries, teachers, doctors, lawyers, journalists, diplomats, etc. Although our country got into crisis in the 1990-ies, the Paulinum could change and renew. New subjects were introduced, a PC room and an audio-video space was created, as well as a recreational room for physical training, the library got richer with new books and new instruments for music, even an organ found home in the Paulinum. The students can freelywrite in newspapers, prepare radio and TV programmes; they created tapes and CD-s for young people and the seminary has constant pages in two Catholic newspapers. The Paulinum-gymnasium was recognised from the beginning internationally,but at home only partially, or only verbally. Finally it was accredited and recognised in our country in February 2004. Our school is bilingual and has 4 classes. The main subjects are: religious instruction, Hungarian and Croatian, then Latin and German, as well as History. After finishing grammar school the students graduate through a final exam from the main subjects.